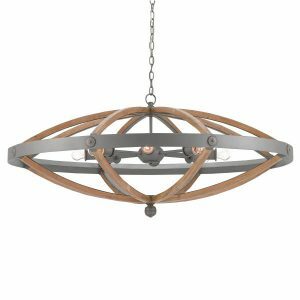 The small-scale version of our customer-favorite Bastian Chandelier, this piece was designed in the Mid-Century style. 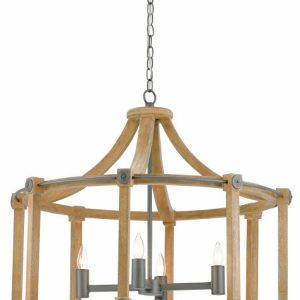 The small-scale version of our customer-favorite Bastian Chandelier, this piece was designed in the Mid-Century style. 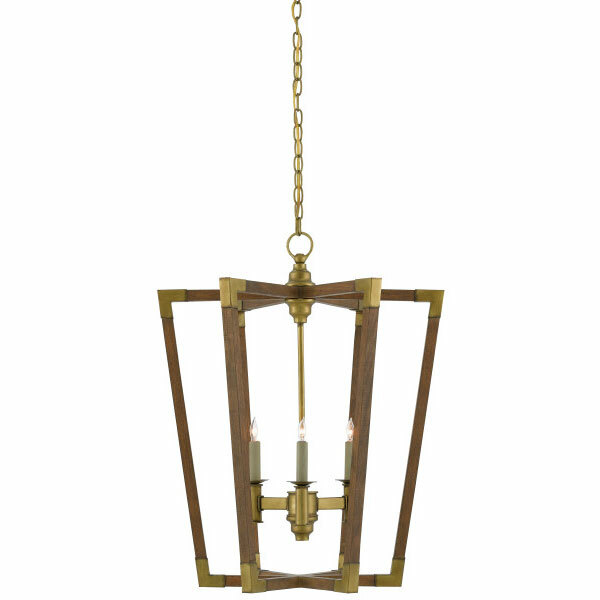 The sophisticated wood and brass complement the strong geometric lines in rich chestnut wood capped with the worn brass.